Stop By and We’ll Get Your Car Running Cool Again! We are Mike and Tim Fox, owners of 321 Radiator Shop which was started by our father Thurman Fox in September 1977. Many things have changed in the automotive cooling business since and today we are the only radiator specialists in Caldwell Co. N.C. and all five surrounding counties. We are continuing to provide quick quality repairs for your car and truck radiator even as others can only offer total replacement services. Contact us today for all your coolant related inquiries, we look forward to hearing from you. 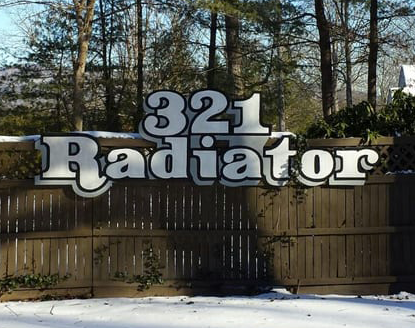 You can count on 321 Radiator Shop to provide the utmost honesty, transparency and fairness when preparing your radiator repair estimate, and we always make sure to ask the customer before performing any additional repairs that were not in the original price quote. If your radiator is too far gone to be repaired, the team at 321 Radiator Shop can help! Let Hudson, NC’s premier radiator specialists get your car back to running cool with our expert radiator replacement services. If you suspect your car’s heater core needs to be replaced, 321 Radiator Shop is here for you! We are Hudson, NC’s heater core replacement experts, and can get your heater core replacement service done as quickly as possible. While an antifreeze flush is a relatively simple procedure, it is essential to have it performed by experienced technicians who are well-versed in radiator repair, so you can be sure it is done properly. Tim has been passionate about cars all of his life. It only made sense that Tim happened to find himself working in the automotive industry. Tim is happy to serve the public at 321 Radiator Shop where quality radiator service is the driving force of the business. Tim hopes to provide you with such a great experience that you’ll remember to return to 321 Radiator Shop for your next radiator service.